AZ INTERIORS is an award winning interior design company based in Cambridge. ​ We specialise in residential and commercial interior design. We can create interior design for your whole house or just a single living room, bathroom or bedroom. AZ INTERIORS is also happy to help you to decide on new curtains or furniture re-upholstery. We are able to offer a wide range of original artwork for your home. AZ INTERIORS design elegant interiors using texture and colour to make spaces which invite and inspire. Every detail is carefully considered with equal emphasis on function and beauty, blending art, furniture and desirable objects alongside bespoke cabinet making, unique lighting and luxury fabrics. AZ INTERIORS is a professional Interior Design company founded in Cambridge in 2013 by interior designer and artist, Alicia Zimnickas. Alicia studied Interior Design at Chelsea College of Art and Design in London after completing her Master's degree at the University of Fine Art in Warsaw. 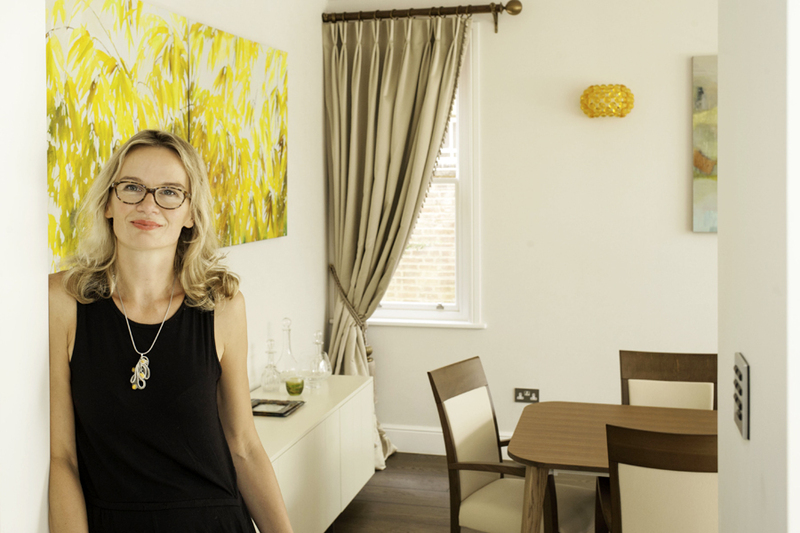 Before founding AZ INTERIORS, she worked in London for interior design companies in both the residential and commercial sectors. Interior designer and artist, Alicia Zimnickas.